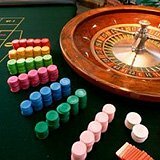 Home Roulette at online casinos Roulette strategies Parlay (anti-Martingale) roulette betting system. The best part of this system is that we are only risking by the one unit (the unit is equal to the minimum possible bet, for example $1). The basic rules are very simple and won’t be a problem at all. All bets should be placed on Even chances (Red/Black, Even/Odd, 1-18/19-36). a. 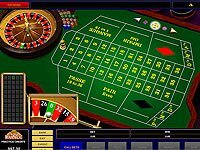 So, to start with, open online roulette table and make 1 unit bet, for example on Red. b. If you won – just leave the initial bet and your winnings on the table. Now your bet will be equal to 2 units. c. If you won again – you will have 4 units (3 units is your net profit and one unit is your initial bet). 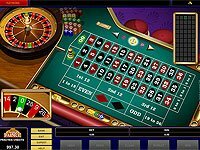 In case of losing you’ve lost only one unit (initial bet which was made in the very begin of your game). d. Imagine that the “ball” landed on Red again (do not forget that you are playing online roulette). Congratulations! You won 8 units! 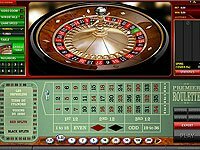 And your net profit – 7 units, which you won risking only 1 unit. This result could be considered as very good. e. Then collect your winnings, get back to the 1 unit and start betting again. Also it’s very important to determine the moment when you have to get back to 1 unit bets, because it’s impossible to win every time. The majority of players who are using this system, advice to finish the sequence after three (3) winning bets.